I’m making my way to the ITV studios on a mild mid-November afternoon. The Southbank riverside of the building has a line of eager autograph hunters. 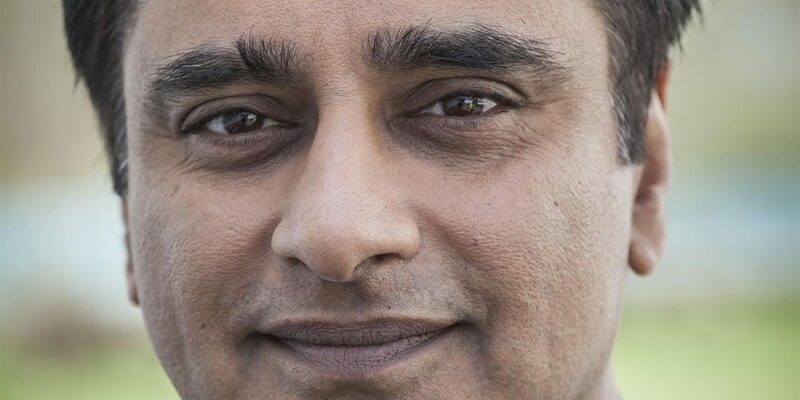 It takes a while for me to get clearance beyond reception and armed with an electronic tag, my laptop and phone I head upstairs to interview the legendary, Sanjeev Bhaskar. In contrast, our introduction is an easy one, he compliments my earrings, a large silver Gye Nyame shaped pair from Ghana, and comments that if his wife, the equally legendary Meera Syal were here she’d say, “You never notice my earrings” …and we laugh. Although Bhaskar shies away from his achievements, a few caught my attention including a 2003 song collaboration on Spirit in the Sky with the Kumars and Gareth Gates for Comic Relief which spent three weeks at number 1, and was the second highest selling single of the year! 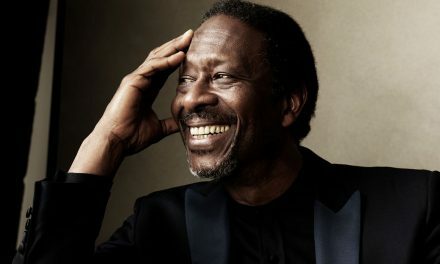 He is also the winner of two Emmy Awards, a Bronze Rose of Montreux Award, a Brit Comedy Award, Welsh BAFTA award, a Royal Television Society Award, Outstanding Achievement in Television Asian Award and is the current and fifth Chancellor of the University of Sussex. 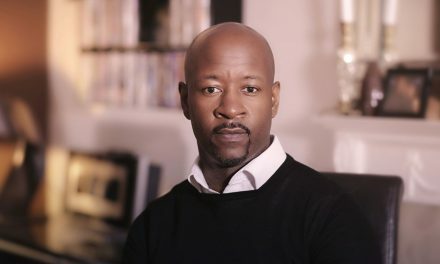 The multi-award winning actor writer and producer makes a genuine point of making sure I am comfortable as we then proceed to talk about the new series of the critically acclaimed, Unforgotten, his previous TV shows, his celebrity status; and the things he values dearly – humanity, humility, equality and egalitarianism. 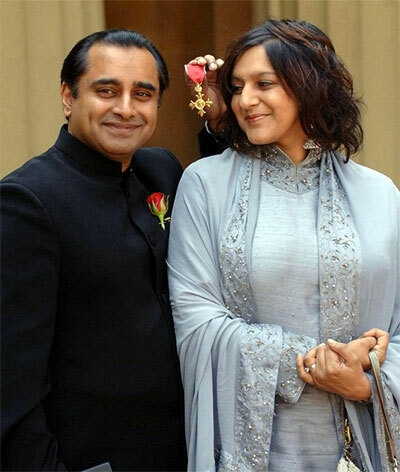 Sanjeev Bhaskar and co-star Nicola Walker, in ITV’s Unforgotten. 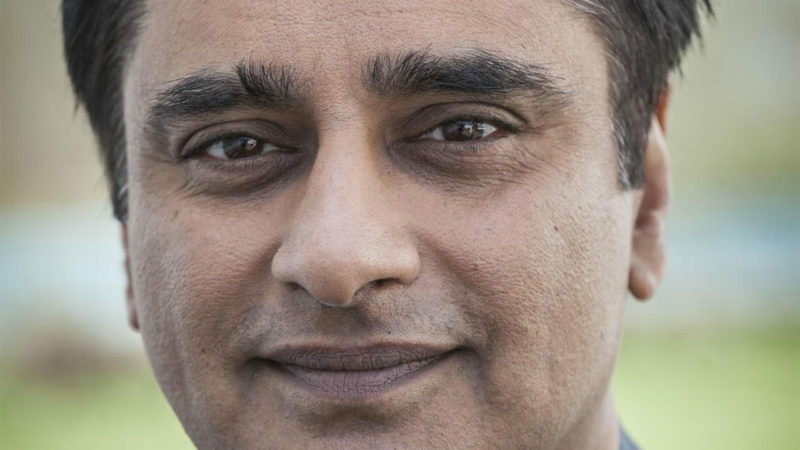 Congratulations, Unforgotten, returns for a second series in the new year, where you play DS Sunil ‘Sunny’ Khan alongside Nicola Walker as DCI Cassie Stuart. Aside from this detective series we know you for the comedy shows, The Kumars at no. 42 and Goodness Gracious Me. I’m interested in your process as an actor, is it extremely different when you are working comedy compared to drama? It’s no different at all because, you start with a character. That said, if it’s a sketch character it’s about how big you can make it; it might be a caricature but it’s about size. If it’s a drama, it’s about how small, in a way, because most people do not express themselves wildly all the time. With a drama, you are interested in what the person is thinking. In comedy you are more interested in what the person is saying. So for example, when you come in and do close-ups of people in a drama, you’re looking at their eyes, you’re trying to work out what is it they are thinking. Are they telling the truth? In comedy, you try to play that up so the joke is more obvious, if they are lying it’s part of the joke. But it starts with the character and with any one character funny things can happen to that person, terrible things can happen to that same person, so the prep isn’t any different. It’s about finding what the drama is for that person and whether is it funny or not… that’s a long-winded way of saying [laughs] I approach the two the same. You remember those unexpected kindnesses; you remember those unexpected snides from people because of the way it made you feel; either accepted, bigger and involved as opposed to excluded belittled or demeaned. Particularly as kids… that shapes who you are and then how you deal with other people. It’s the same on a set, so in a way you want to do good work and good writing and good comedy and good drama but above anything you want to be with good people because that’s what sustains you in the end. If someone sees something I did 10 years ago and they say it was horrible and I was awful, my memory of it is ‘did I enjoy it? Was I surrounded by positivity and inclusiveness?’ I think that’s true across the board, we need that attitude as human beings, we need that connection. Your passion is making me quite emotional … I wasn’t expecting that; in a good way. Ahhh… I’ll do a silly voice in a minute, that’ll level things up [laughter]. As a journalist and generally ‘the girl about town’ I get the chance to meet some pretty inspirational people; across your career you must have met some amazing people. Reflecting on the guests who you had on The Kumars who were the four most significant? It may be easier if I pick four shows. So the first show that went out, with Michael Parkinson and Richard E. Grant that was significant because, being the first we didn’t know how it would be received; the format hadn’t been done before. For me personally, we had a show with Alan Alda who was Captain Hawkeye Pierce in M*A*S*H and to me that is still the only programme that ever managed to do comedy and drama in a TV half hour [22 minutes]. I could go from laughing to appreciating the humour and the comedy, to weeping at the profundity of it, all in one episode. It was set during the Korean war and one of the things I discovered was that for 11 years it was America’s number 1 show at that time. Alan insisted in his contract that in every episode there would be at least two scenes in the operating theatre. I asked him why, and he said he didn’t want the audience ever to forget that they were dealing with life and death situations. In every single episode, no matter how ridiculous or cartoonish the humour got, you always went back to people on an operating table who would either live or die… I thought that was amazing. The other thing was that for the 11 years he did M*A*S*H, he only had six months off; he also became the leading advocate for equal women’s rights in the America constitution. So for the years he was doing M*A*S*H he was flying around the country talking about its importance. To have such a man on the show and become friends with him, we are still in touch… He’s 80 now, and just as spirited and curious and an advocate for equality and egalitarianism as he ever was. I think that is very inspiring. The first time we had Lenny [Henry] on the show was huge for us. He was the person I looked at when I was a kid. He was the one, the person of colour, who had made the transition, from being 15 or so when he broke through. Not many people speak about The Fosters sitcom with Norman Beaton and Carmen Munroe who were later in Desmond’s and Lenny as one of the kids. It was so ahead of its time and it was a great and funny television series. 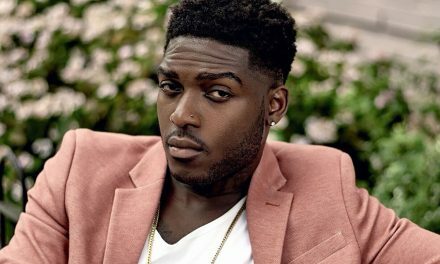 So to have Lenny on [the Kumars] as somebody who went through the most difficult time and got the most amount of flack through his career for being black, for being ‘too black’ for being ‘too white’ was important. Then having Tom Jones. It was just weird. We opened the door and it was Tom Jones! So we decided we would have fun with his Welsh accent claiming it sounded just like an Indian accent. We did things like can you say ‘Only two people in the shop at a time’ and ‘Oi you two if you’re not buying anything. get out’. It was a joy, it really was. I discovered that you have an OBE and your wife has a CBE but I couldn’t find a clear enough definition of the difference. Can you tell me what it means in reality and to you? So in terms of grades up it goes from an MBE to an OBE to a CBE and then you are either a Sir or a Dame. Meera had an MBE first, then I got an OBE then she got a CBE last year. You get a little medal which is very nice. A lot of people I respect turned it down mainly because it’s got the word empire in the title. I remember a lot of people saying to me why would you accept. My life wasn’t terrible the day before I got it, so it wasn’t suddenly that it made my life better. It didn’t mean I got more work, there is no money and it’s not like you get a free toaster, or something practical. It doesn’t even mean I’m particularly good at what I do or better at what I do. But it was in recognition of my parents and that generation. The generation that came here and had to withstand the brunt of racism, the brunt of exclusion. They arrived in the times of signs with ‘No Irish, No Blacks, No Dogs’. If anyone had told them that one day their child would get this from the Queen, they would have said ‘I don’t believe you’. What we are going through now, just trying to live life, trying to keep our heads above water, imagine the belief they must have had to have. So, it’s for my parents, and their generation; it’s on their shoulders I stand. I do understand why some people wouldn’t want it but the empire happens to be part of the history of this country and me not taking the medal won’t change that. Nor does it mean I condone that history. What are you most proud of… let’s go for four again? I love being a dad. It’s made me realise how much there is for me to learn so it’s exposed a lot of my foibles which is no bad thing. I love to be part of community, it’s the thing we tend to lose… I sent a tweet out the other day where I said the things that have happened politically was depressing. Then I thought my resolve against bigotry and hatred and my move towards empathy and understand is the greatest it’s ever been and that’s the positive. All that stuff is not how I’d want it to be but it made me realise more strongly I am for the stuff that unites us. There is still an idiot in charge but this isn’t an isolated feeling, it’s not just me, it’s lots of people and those virtual hands are a powerful thing. With social media you realise it has little to do with age, gender, colour, there are people all over the world who that want the same kind of world with the same kind of sensibility and that’s how things change for the future. I am proud of both Goodness Gracious Me and The Kumars. They were the first two things I did. I think it’s very difficult to be objective when you are involved in something and can look like you are boasting or something like that. Goodness Gracious Me came of the back of The Real McCoy, which doesn’t get mentioned enough. The Real McCoy proved there was an audience that would cross over for something that was culturally based. We were less political than the The Real McCoy, more satirical. The Kumars were satirical about fame and celebrity. This fame hungry individual and his family who wanted to ride on the coat tails while associating with genuinely famous people and screwing it up in some way. So I’m proud of both of those things. 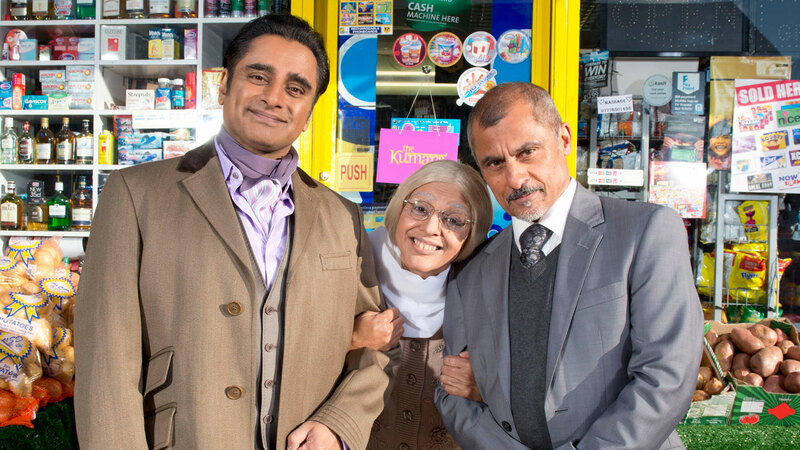 I am also proud of Unforgotten because what I suddenly realised at the end of series one was that this is the most diverse programme I’ve ever been in. Diversity in colour. diversity in age, gender and sexual orientation, but not in a way we are making a big point about it. This this is just the world we live in. So I’m proud, especially coming off a drama, which I’m not known for and it being received as warmly. So with Unforgotten returning for a second series, for those who never have watched it, why should they? It’s good drama, and a story well told. It doesn’t offer up the clichés that you find in a lot of detective programmes. At the heart of this second series there is a question about ‘what is an evil act? Does an evil act define an evil person?’ There is a debate within this that I think will be interesting. 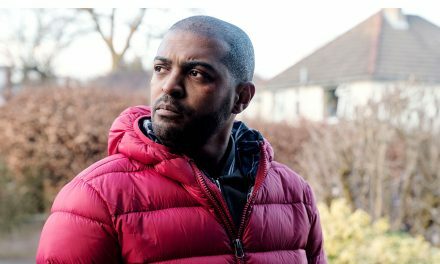 The second series of Unforgotten will feature a brand new story from creator and writer Chris Lang who once again explores the fallout from the investigation into an historic murder case. The story begins with the discovery of a body. This time the perfectly preserved remains of a middle aged man found in a sealed suitcase in the silt of the River Lea in northeast London. As Cassie and Sunny begin the complicated task of trying to identify the victim, we will meet four unconnected people who we suspect are linked in some way to the victim.